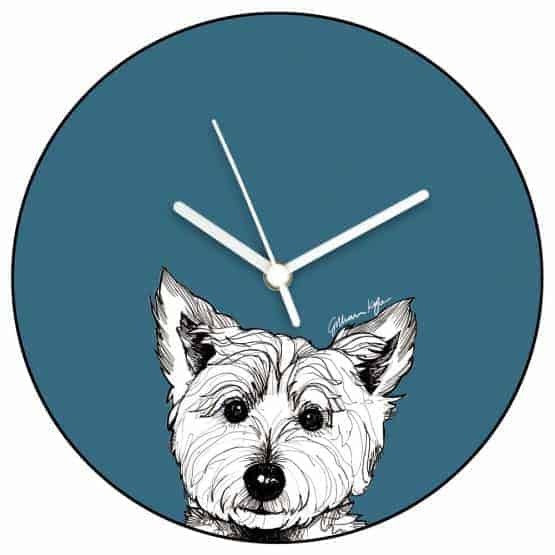 Is it time to try something new? 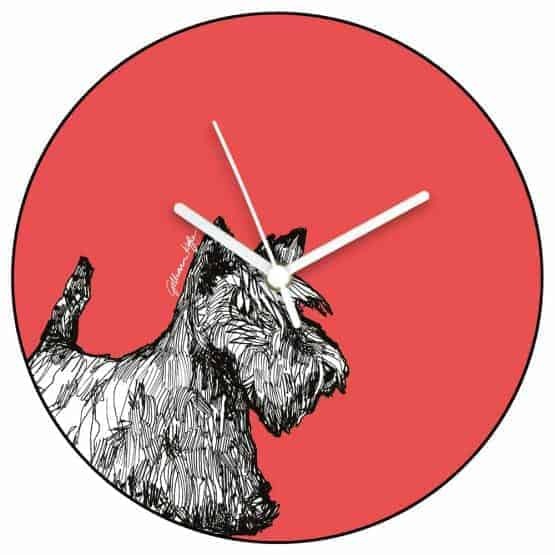 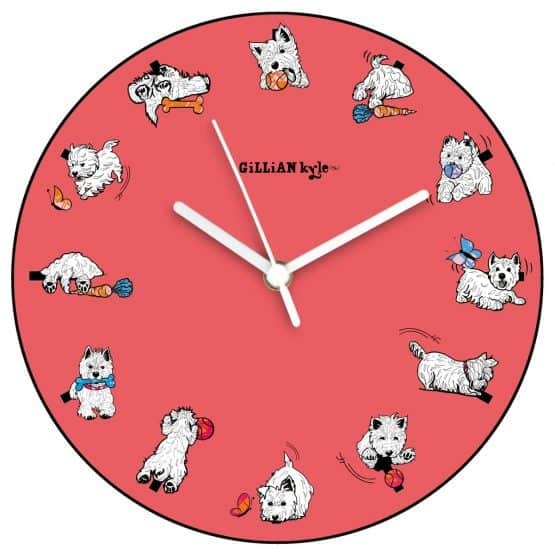 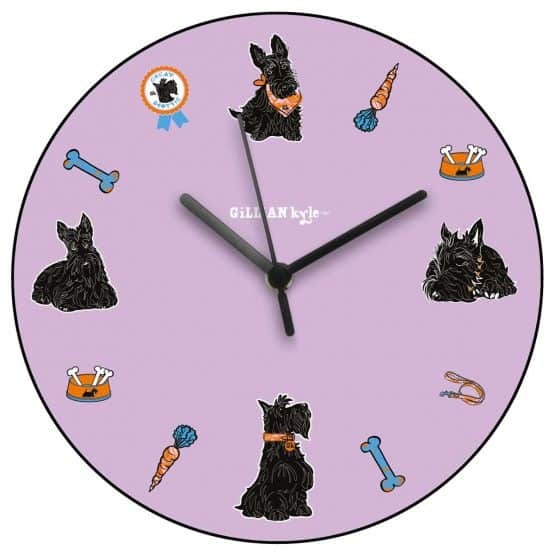 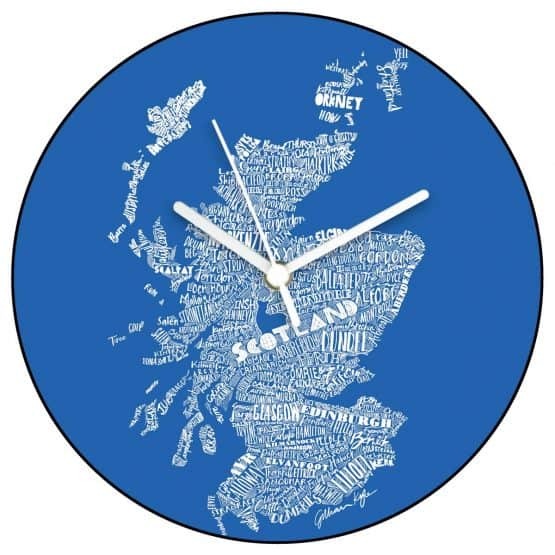 Check out Gillian Kyle’s fun range of Scottish themed wall clocks. 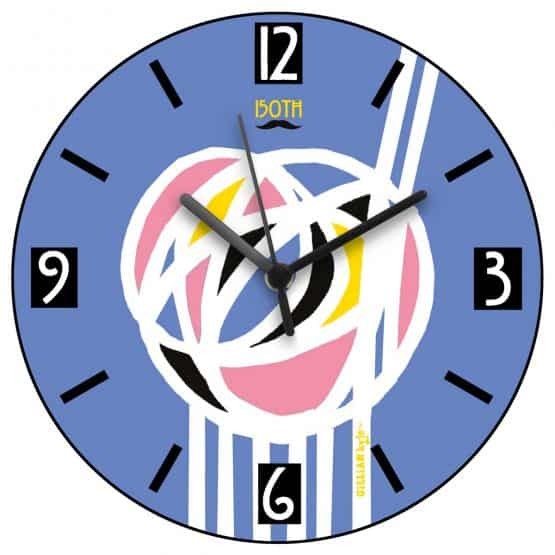 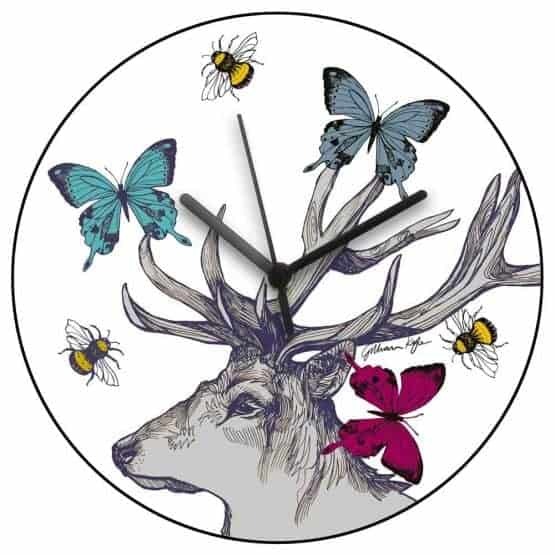 These quirky clocks take inspiration from a number of Gillian Kyle ranges. 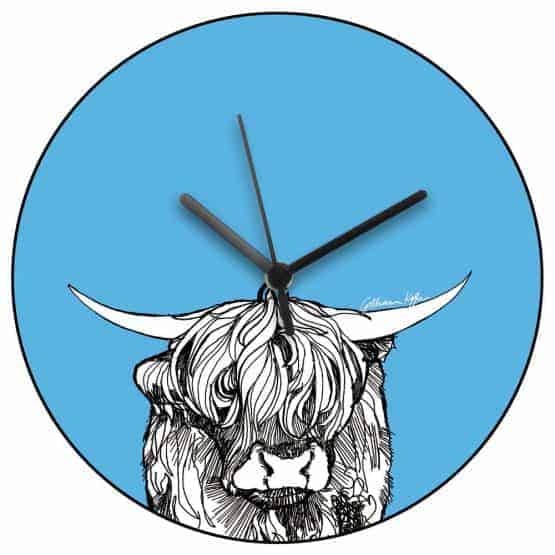 So, whether you want to bring the outside in with the Jaggy Thistles clock, show off your love for our furry friends or celebrate Scottish wildlife, then we have a clock for you! 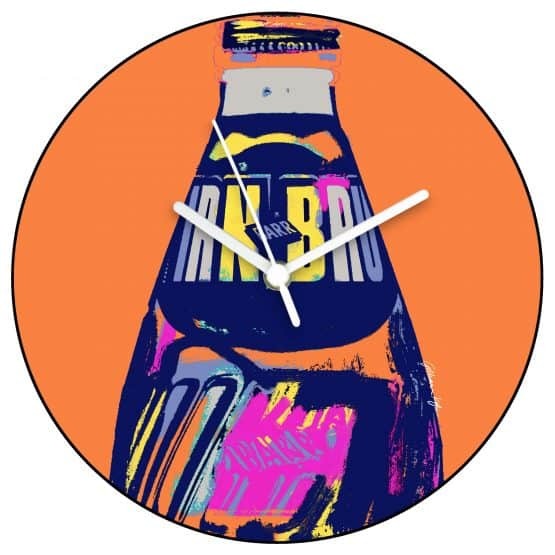 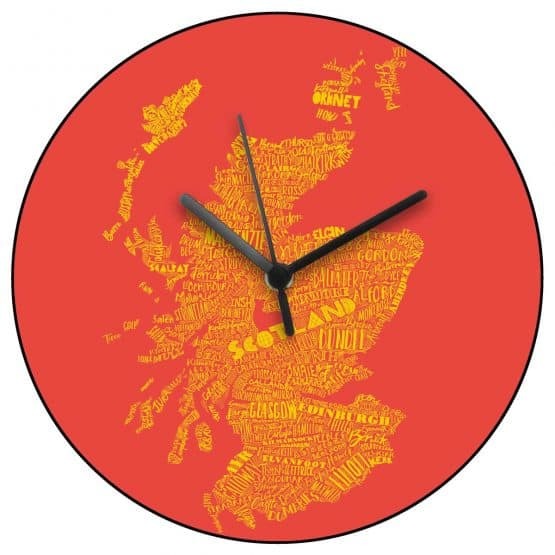 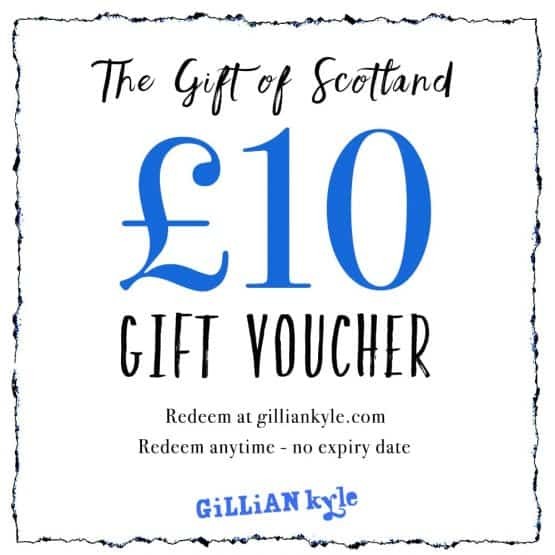 Show off your love for Scotland with Gillian Kyle’s collection of vibrant wall clocks. 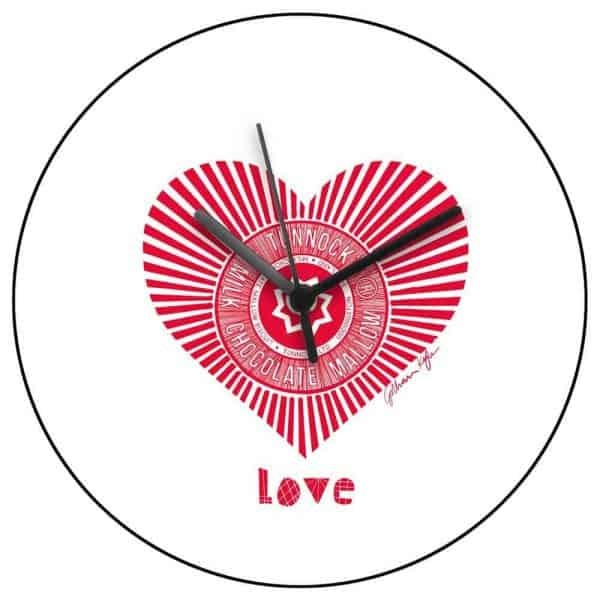 All of our clocks display Gillian’s Scottish themed artwork, perfect for brightening up any wall in your home. They also work wonderfully as birthday, Christmas, new home or wedding gifts. 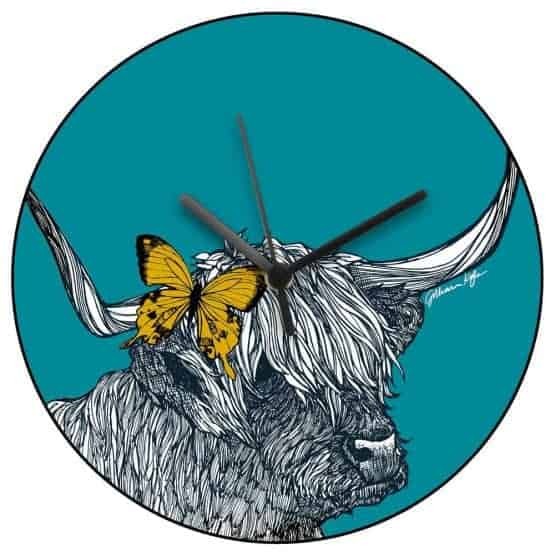 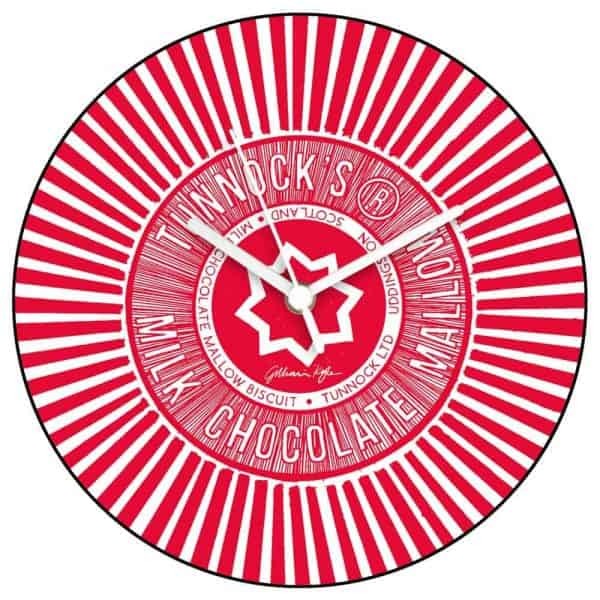 Our clocks feature various designs from the Tunnocks range, along with some majestic Scottish wildlife from our Butterflies and Beasts range, and even the hand drawn Mapped out Scotland range. 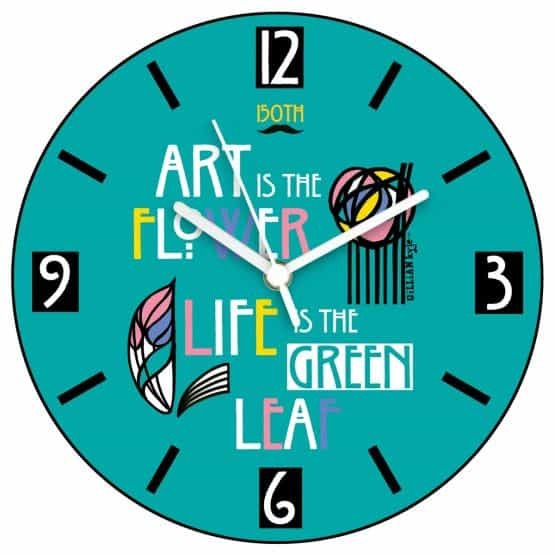 And while you’re livening up your décor, why not try pairing your new clock along with some of our wide range of products for your kitchen, or from our selection of mugs and cups?